For this post, I teamed up with one of my favorite places to shop for home decor – Goodwill! I was provided a small allowance for supplies in exchange for this post. Not only is shopping second-hand good for your budget, it's great for the environment and exciting too! It's holiday time! I officially just started vacation from my "real job" and can finally relax and go full steam ahead Christmas beast mode. While this time of year is CRAY-ZEE with kids' parties and gift buying and finishing up last minute work projects, I wanted to take the opportunity to work with one of my favorite places to shop, Goodwill! 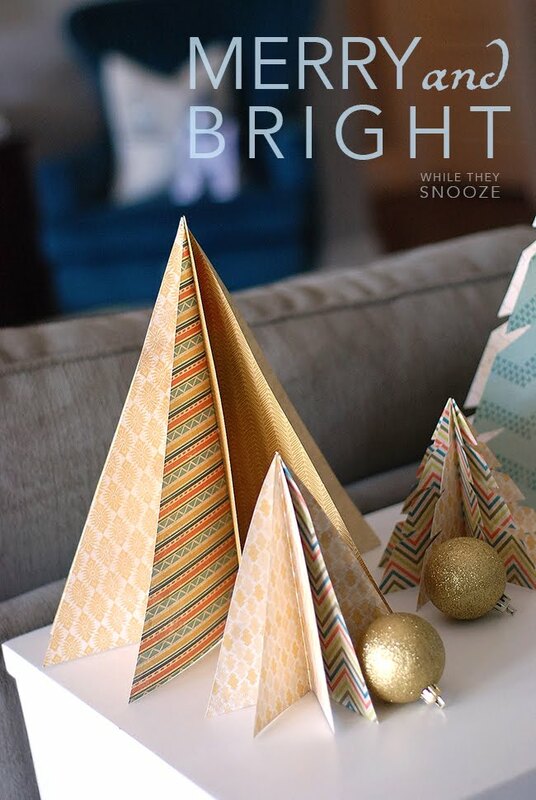 Plus, this project is so quick, you could still whip these up in time for Christmas Eve company. Promise. Goodwill contacted me and asked if I would be interested in shopping their stores in search of not-so-traditional elements I could incorporate into holiday decor. Sign me up. I feel like that is what I do almost every year anyway, right? Let the shopping begin. 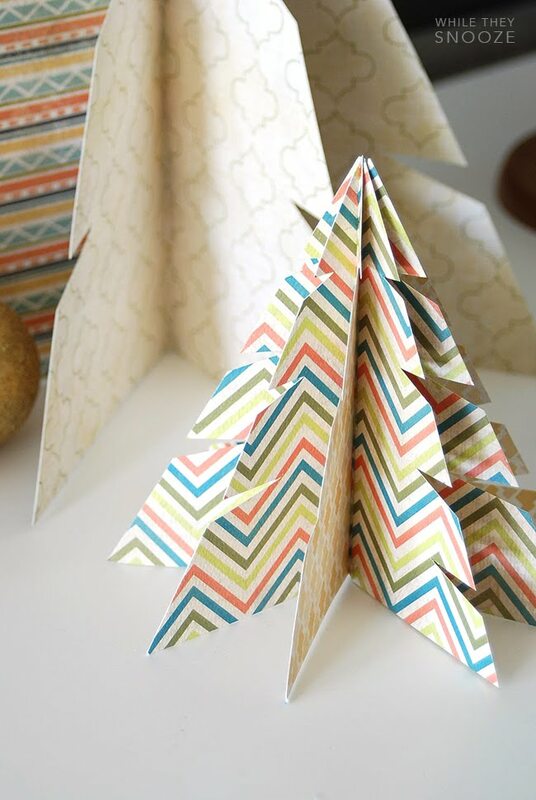 In my head, I wanted to make a simple garland out of who knows what, but when I found this amazing stack of beautiful paper my brain switch gears. 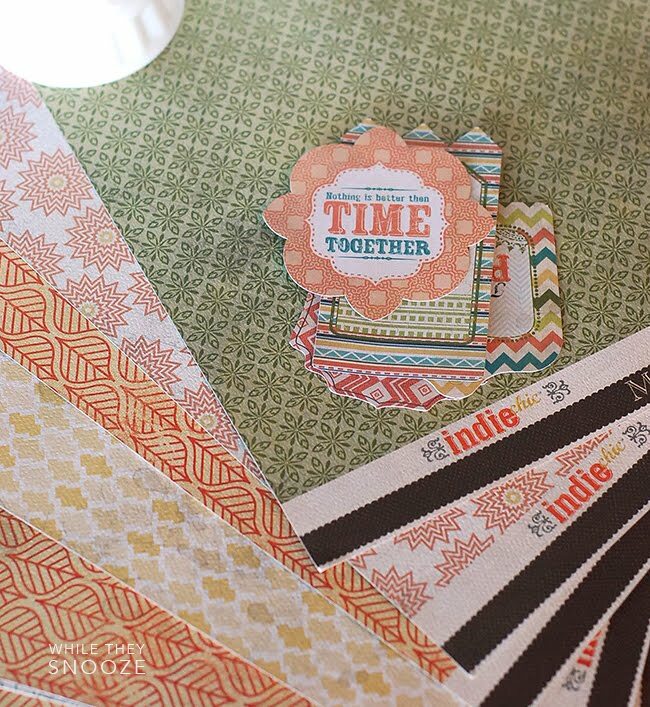 I loved the eclectic, worldly look of the patterns and while they are not typical christmas colors, they reminded me of the holidays. My kids have been learning about Christmas traditions around the world and I think that's what got me. 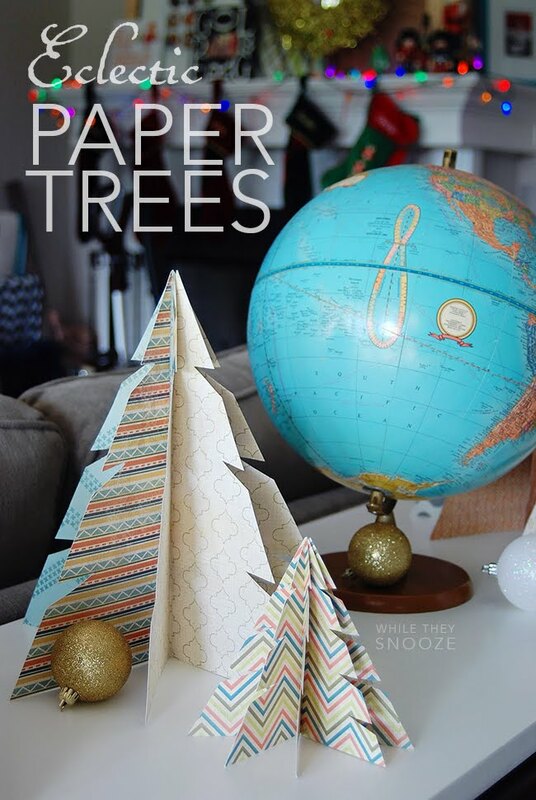 I knew big beautiful paper trees would look gorgeous made with these patterns. 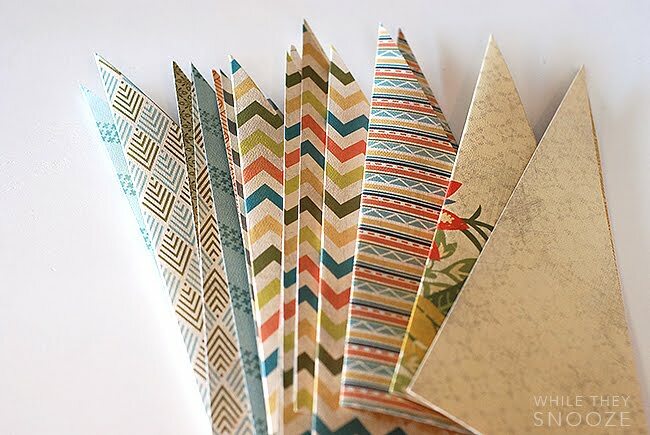 So I got to working and simply cut each paper into right triangles. Then it's just a matter of glueing the folds together. I used hot glue so they were dry and ready to use almost instantly. I did a variety of sizes and cut little notches to indicate branches in some of them. You could probably whip up a batch of these in less than 30 minutes. 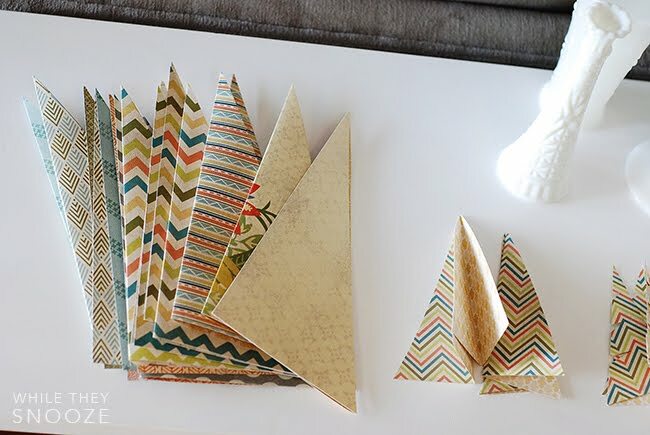 I just love how crafty and simple they are and the variety of sizes makes arranging them easy. Then... SURPRISE... 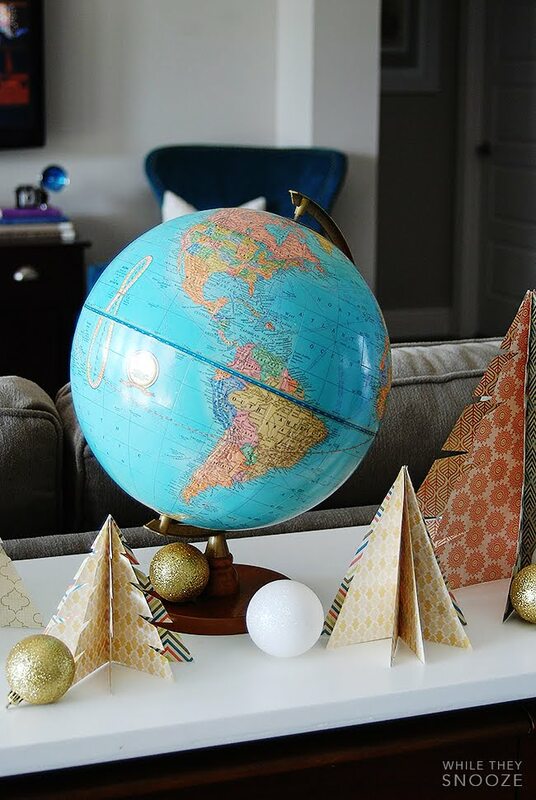 I also found this amazing vintage globe to go along with my worldly Christmas theme. I. LOVE. IT. You never know what you will find at Goodwill. It's like an adventure every time. 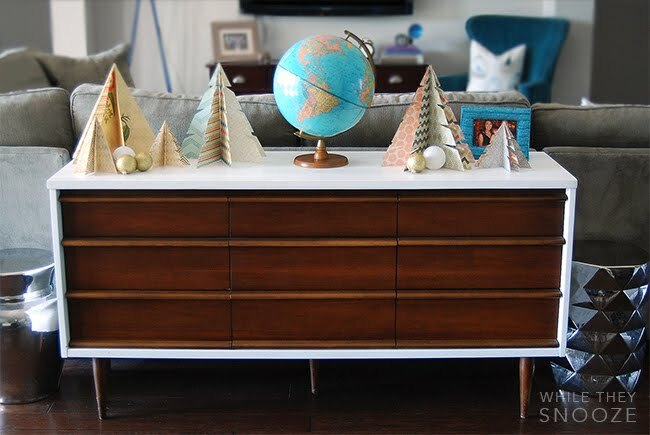 The colors of the globe compliment the patterns and colors in the paper so well and the whole thing is the perfect addition to the mid-century console in the center of our living room. I've looked for a globe like this for years at the antique extravaganza I go to each year and they are always way over priced or really damaged. Such a find! I added of a few small sparkly ornaments for some shine and when the family starts arriving later this week, this table always holds all of the snacks. The trees and globe are going to make my appetizers look even better.